You are here: Home / Finished Projects / Beautiful Bras…. I was going to put up a photo of myself wearing one of these bras as it’s difficult to see them fully without being on a mannequin or on a human body – But as my dad reads this blog sometimes, I thought that might be a little bit weird… And I’m not sure I really want the world to see my bust! 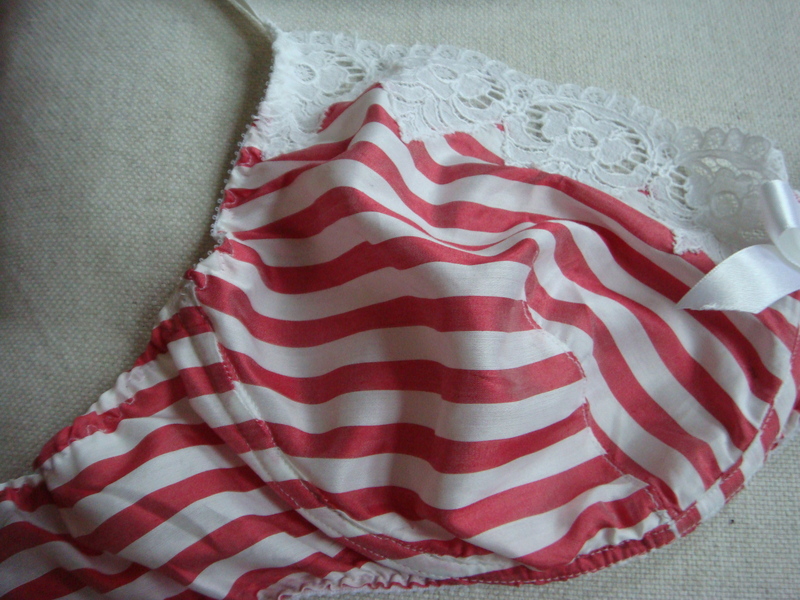 So, you will have to make do with seeing my bras posed artfully on a cushion instead. I’ve been learning how to make structured bras. 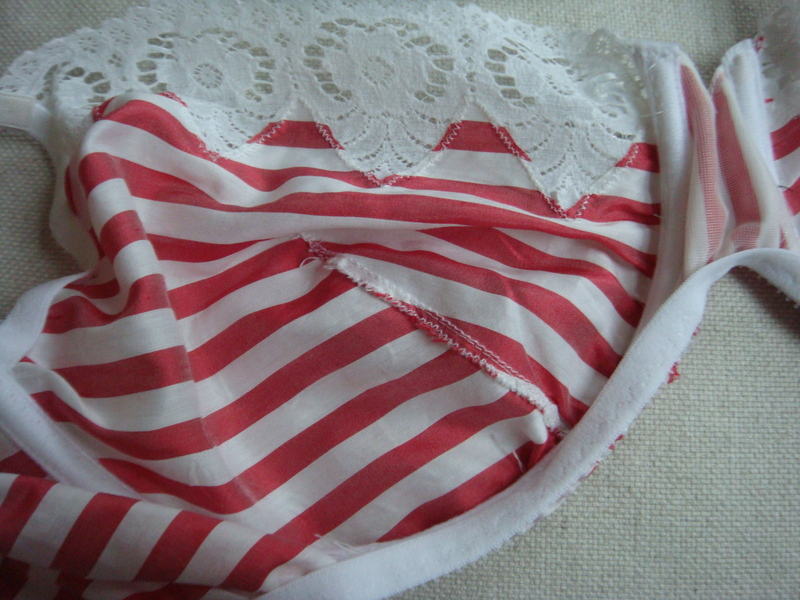 The first one is a simple darted bra and the second is a Balconette. They are both too small for me because I was using my teacher’s patterns and her patterns only go up to a 36 C or D.
The fabric is a silk/cotton blend that my teacher used in her range when had her own lingerie label. The cotton lace is also hers. 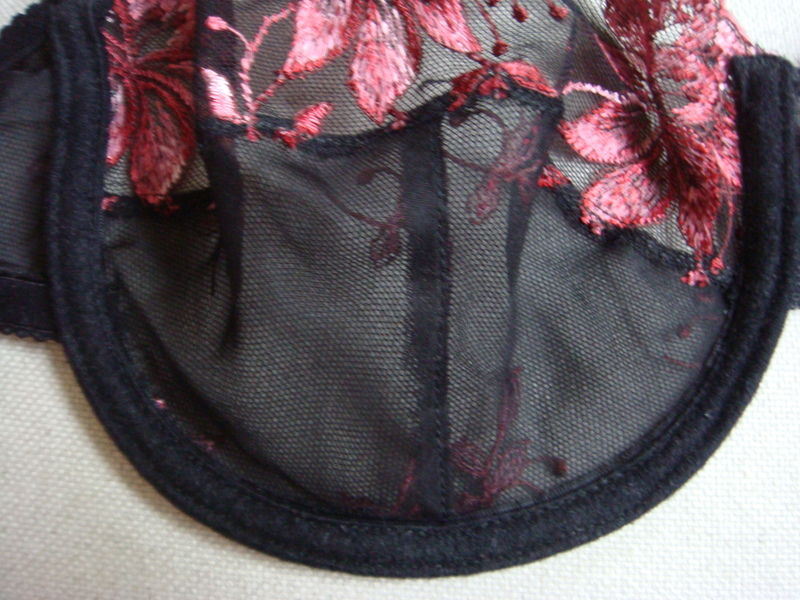 Inside the bra: A French dart and the underwire casing. 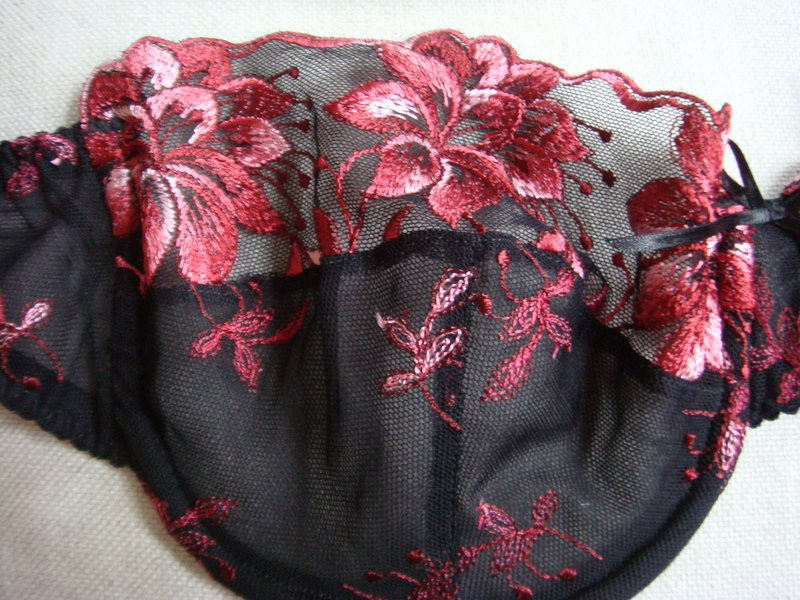 Fabric and Lace are from The Sewing Chest – A great place online to get bra making supplies. This is the Bra Refill kit – Paris – Lava. These are fabulous. Do you get the materials at any fabric store? Thank you all! The black bra fabric is from The sewing chest and the white and red bra fabric was from my teacher.